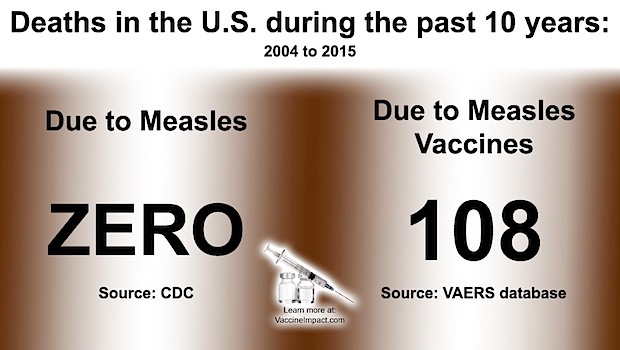 You Are Safer Getting Measles Than You Are Getting A Measles Vaccine. Why Are We Allowing This? week. A nation of scared sheep. That’s what we’ve become. And nowhere is that more evident than in the Measles’ Vaccine debate (which interestingly enough shouldn’t even be a debate). Since 2003, there have been 0 measles deaths reported. You’d think that’d be enough evidence for the fear mongering parenthood of sheep to rest on, but that would make our lives much too easy. The worst part is this: We’ve had 108 deaths from Measles Vaccines. Wait, what? 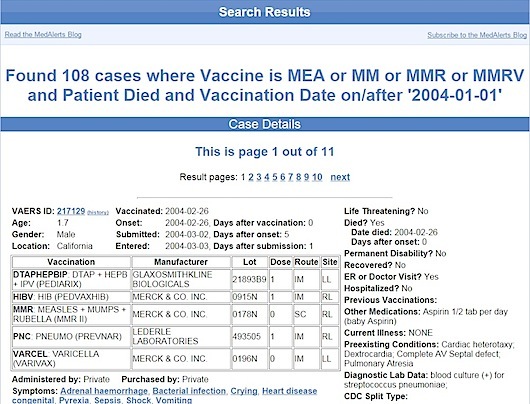 Yep, 108 deaths, or as the Government likes to term them, “adverse events.” They have a system called VAERS, which stands for Vaccine, Adverse Event Reporting System. How nice right, dying is basically now termed an “event” to make it more pallatable to the masses. Sadly, this is working. The writers over at BlackListedNews.com gathered some cool graphs from simple online searches. 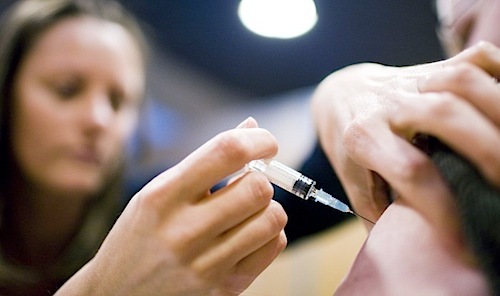 So why on earth would we push measles vaccines? It all starts with Big Pharma making a profit and then it trickles down to obtuse, naive parents who’ve been force fed a big cup of fear mongering. That’s the cycle and it is going to be pretty tough to break considering most of these people would be for the government forcing shots on it’s people. Essentially people are asking to be medicated and subjugated. Oh my, if so many victims of dictatorships could come back and see us now, they’d be astounded! There is nothing to be afraid of. Fear mongering is profitable. It makes Big Pharma money. It does you no good. Don’t be part of the problem, be the calm, level-headed part of the solution. 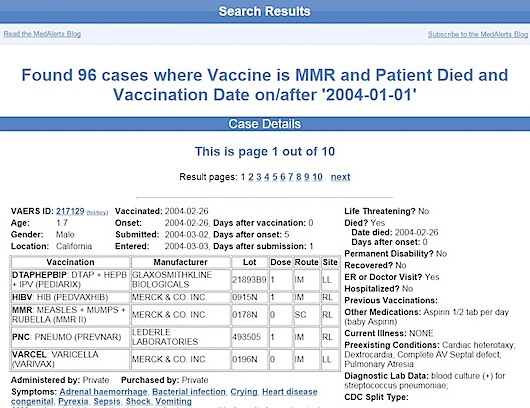 Listed below are links to blogs that reference this entry: You Are Safer Getting Measles Than You Are Getting A Measles Vaccine. Why Are We Allowing This?. This page contains a single entry by Toni published on June 17, 2015 5:17 PM. Eating Dates Produces Powerful Health Benefits, Religion and Science Agree was the previous entry in this blog. China consumes almost half the world's antibiotics - and they're coursing through its waterways is the next entry in this blog.